West Carleton Art Society has the opportunity to exhibit artwork at Zolas Restaurant, 2194 Robertson Rd, Nepean, ON K2H 9J5. The facility can accommodate an estimated 12 - 16 pieces of artwork from small to large sizes. The artwork is hung on screws and hooks that are in place and are reused to the extent possible. We do have the option of installing new hooks as required and will attempt to keep this to a minimum. The lighting in the facility is reasonable and the exhibit space is throughout the restaurant. The coordinators will liaise with the owner of the Restaurant before each exhibit to ensure that he remains agreeable to the exhibit dates and times. During installation we respect that the Restaurant is a place of business and will make every effort not to disrupt patrons. We propose that there be four exhibits from April to December in 2019 each for roughly eight weeks in duration. All four exhibits would be group exhibits. It is our intent if we continue beyond 2019 is to offer one solo exhibit and one exhibit that feature two or three artists in our line-up for next year. The remaining four exhibits would be a mixture of artwork from a number of artists. The dates and themes for the four exhibits over the remainder of the year are identified below. The Coordinators will advise WCAS social media contacts of new exhibits with photos of the exhibit and identify artists in the exhibit. This will promote our members and the restaurant. It is our intent to coordinate one Vernissage at the restaurant this year to determine effort and benefits. If the initiative proves successful for artists, the restaurant and WCAS we will consider planning more than one next year. 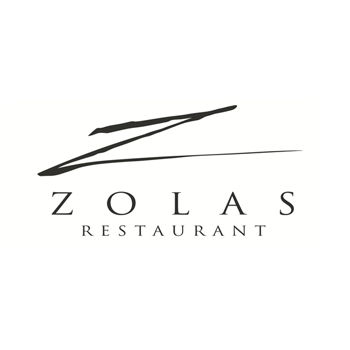 There is a 20% commission on all sales that goes to Zolas (no commission to WCAS).